The post Arise: Atiku’s INEC server’s claim, an attempt to confuse judiciary appeared first on Newtelegraph. The post Fuel scarcity: NSCDC, Ondo to clampdown on filling stations, marketers appeared first on Newtelegraph. The post NSE restates commitment to Fintech growth appeared first on Newtelegraph. The post Tribunal grants Ogboru leave to serve Okowa through substitution appeared first on Newtelegraph. The post Dickson to Ijaw politicians: Stop using federal contacts to kill during elections appeared first on Newtelegraph. The post Abe: Supreme Court judgement has ended my 2019 ambition appeared first on Newtelegraph. The post APGA factional chair, Obasi, predicts party’s death ahead of 2023 appeared first on Newtelegraph. The post PTAD moves to verify 104,133 pensioners appeared first on Newtelegraph. The post Chukwueze’s goal moves Villarreal off relegation spot appeared first on Newtelegraph. 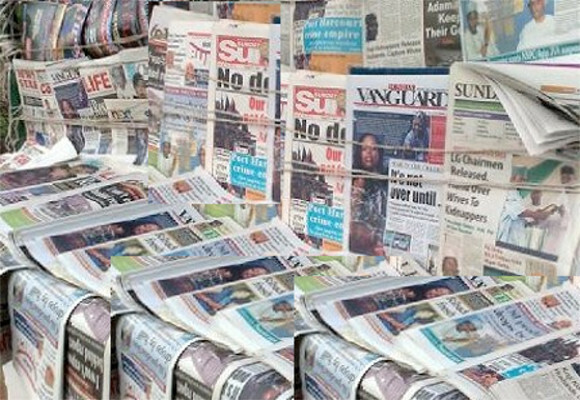 The post S’Court case: Lawyers urge SEC to bar MTN from listing shares in stock market appeared first on Newtelegraph.